Individual and Small Group sessions will always begin with a basic training sessions. This will allow our coaches to find areas in each player's game that have room for improvement. After that, sessions will begin to focus on these areas of need. Each training session, the SG coach will be heavily involved in the training process; giving examples and even playing against their students as to push them to a higher level. Through a positive atmosphere and intense training regimen, your child should leave with a better understanding of the technical and mental aspects of the game, as well as an increased morale and confidence level. Training can focus on any area of need and can incorporate fitness and agility training. 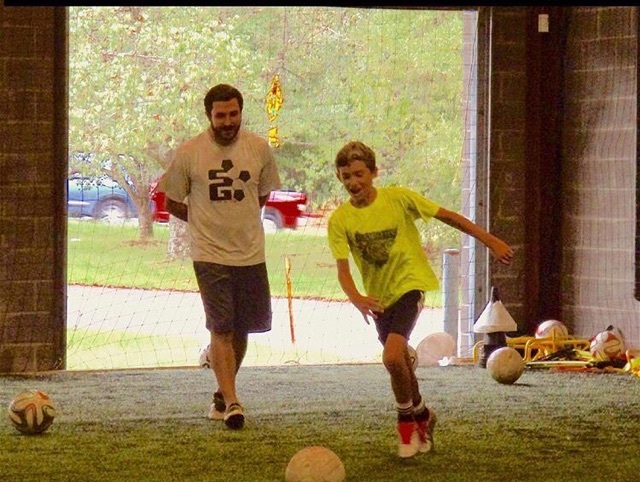 The increased ability to focus on specific areas of need and techniques will surely help your child improve while enjoying their time getting to know the Academy coaches. SG may combine individual sessions. Let us know if you have a problem with that and we can avoid it. Parents who hold a certain time slot will be contacted before their last session in the set in order to reserve their time slot once again. If you cannot confirm for another four weeks we cannot hold that slot.